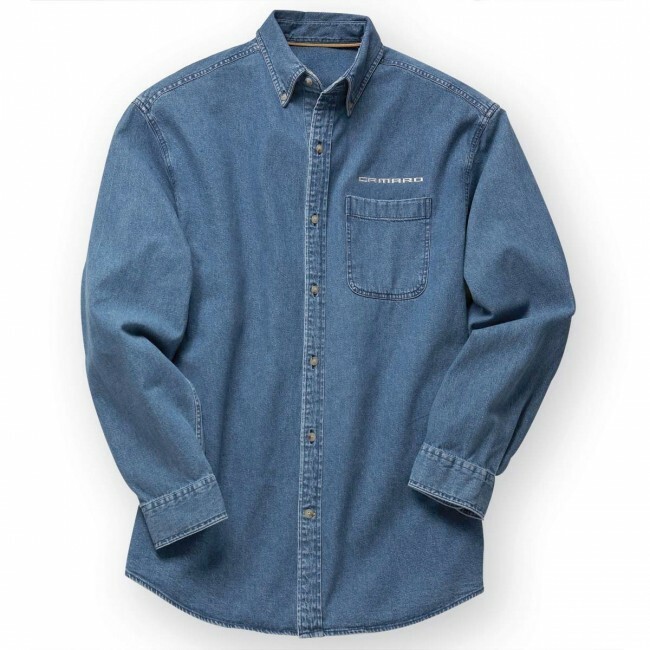 The legendary muscle car meets its match in the iconic stonewashed denim shirt: tough but loaded with rugged good looks. Button-down collar, back box pleat and locker loop, two-button cuff with button sleeve placket and wood grain Eagle logo buttons. Camaro embroidered on the left chest. 7.25 oz. 100% cotton with a stonewashed finish. Imported.